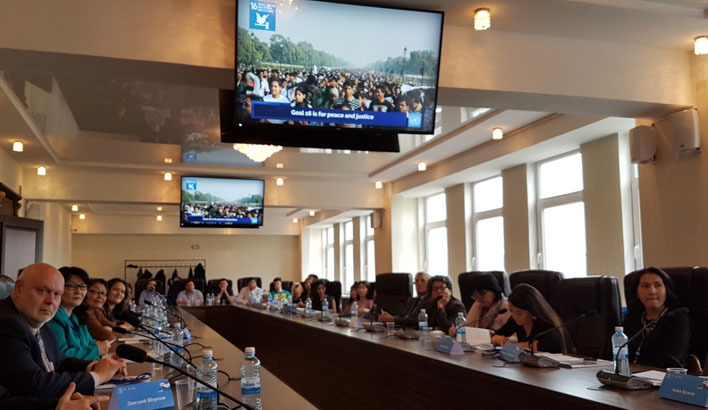 On 28 April Turan University in cooperation with UNESCO Almaty Cluster Office organized a round table and training on journalism and press freedom for students from Kyrgyzstan and Kazakhstan. 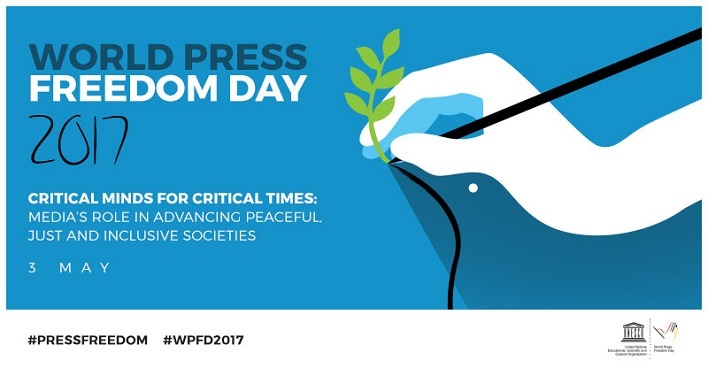 The theme of the World Press Freedom Day 2017: Critical Minds for Critical Times. Media’s role in advancing peaceful, just and inclusive societies discussed during the meeting. Ms Krista Pikkat, newly appointed Director of the UNESCO Almaty Office opened the workshop. The organizers discussed the events and actions in the United Nations system related to the safety of journalists, issues of the Media and Information Literacy as the barrier for the hate speech, disinformation and polarization in the internet. The participants analyzed the role of the media in supporting sustainable development goals, fixing injustice, improving the effectiveness of public administration, gender equality in the media, as well as the culture of peace. 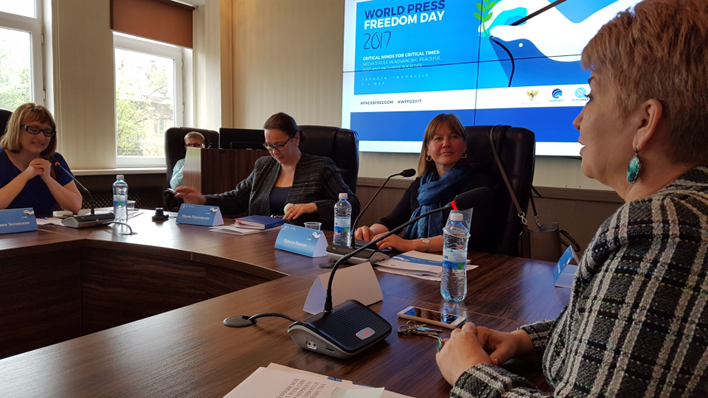 UN Department of Public Information in the Republic of Kazakhstan presented video material on the Sustainable Development Goals. Minber Public Foundation presented a project on the development of community media in the Kyzylorda region. Internews Kazakhstan has shown the civil society efforts in the improvement of media legislation in Kazakhstan. UNESCO Office in Almaty provided information on the UNESCO Director-General Report on the Safety of Journalists and the Danger of Impunity. National Commission of the Republic of Kazakhstan for UNESCO and ISESCO; Turan University; United Nations Department of Public Information in the Republic of Kaakhstan; UN Women Kazakhstan Multi-Country Office in Almaty; Al-Farabi Kazakh National University; Suleiman Demirel University; Lev Gumilyov University; International IT University; Internews Network Kazakhstan; International Foundation for Protection of Freedom of Speech Adil soz; Minber Public Foundation; Osh State University; Kazakh University of International Relations & World Languages; Toraighyrov Pavlodar State University; Narxoz University.